Below you will find some science project ideas dealing with ants. Ants are amazing creatures! Science projects and experiments with ants can help us to understand more about them and to appreciate their role on our planet. Caution! Ants may bite and/or sting. Be very careful when conducting experiments and science projects with ants. Do not touch them! Adult supervision is required. Test the effects of temperature change on ants. Notice the activity of the ants as they move around at room temperature. You may want to make a video recording that you can show at the science fair. Now place the observatory in the refrigerator for 10 minutes. After the 10 minutes are up remove the observatory and notice how slowly the ants move. Ants are cold blooded. Ants move slower at colder temperatures. As the temperature goes up the ants will become more active. Test the ants reaction to different foods. You can place ants into a large plastic tub. Place different foods in the corners and see which the most ants go to. Take pictures for displaying at the science fair. Do they prefer certain foods? Some good foods to try are sugar, salt, citrus fruit, green vegetables, meats, granola. Try comparing Carbohydrate, Fat, and Protein. Which do they like the best? Test the effect of light and darkness on ants. You may want to have two observatories for this experiment. Place the same number of ants into each observatory. Keep one observatory in the dark for a specified amount of time. Keep the other observatory in the light during the same time period. Note the differences in how much tunneling has been done. Which do you think is better for ants? 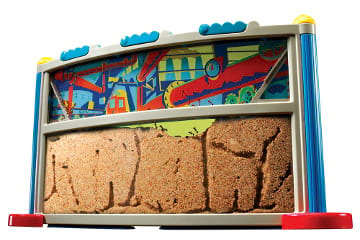 Test the ants ability to dig tunnels in wet vs dry sand. You could also compare different types of soil. You will need to time the ants to see how long it takes to construct a tunnel a certain distance in your ant farm or observatory. You may also want to compare the stability of the tunnels the ants construct. Place some ants into your observatory or jar with wet sand and start timing them. As soon as they have built a tunnel a certain distance, note the time. Shake the container and tap on the outside to test the stability of the tunnel. Now try ants in a container with dry sand. Time them in the dry sand. Compare your results. Test ants ability to tunnel in Sand vs. Gel. Ants naturally live in sand. 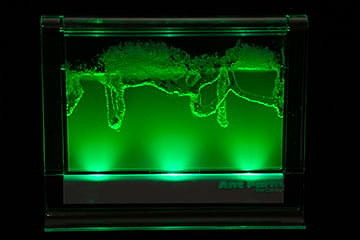 However, you may have seen ant habitats like the Light-Up Gel Ant Farm which contain a gel which the ants live in, eat, and tunnel through. You can perform a test to see which is better for ants to tunnel in. 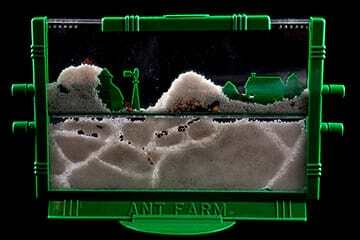 You will need 1 ant habitat that uses sand and 1 habitat that uses gel. If you put the ants into both at the same time you will be able to see if ants can tunnel better in man made gel or in sand. Browse our Ant Farms and Habitats. An Ant Habitat lets you watch and learn about the fascinating world of ants in your own home. Life Studies will be happy to get you started. We have a variety of Live Ant Habitats available. We will also send you Live Western Harvester ants for your observatory. The Ant Viewer is a cylinder shaped observatory about 5 1/2 inches tall. An inexpensive way to experience the world of ants. The Ant Viewer comes with Sand, Ant Food, Water Pipet, and a Small Supply of Ants (About 15). 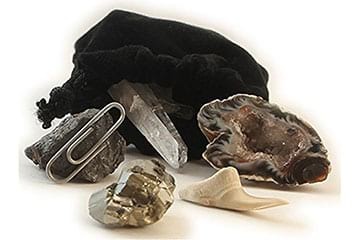 Order 2 or more for Science Projects and get a great discount. Note: If you will not be setting up your Ant Viewer(s) right away, please request a certificate for your ants that you can redeem when you are ready. Enjoy the ant watching experience! $19.99. 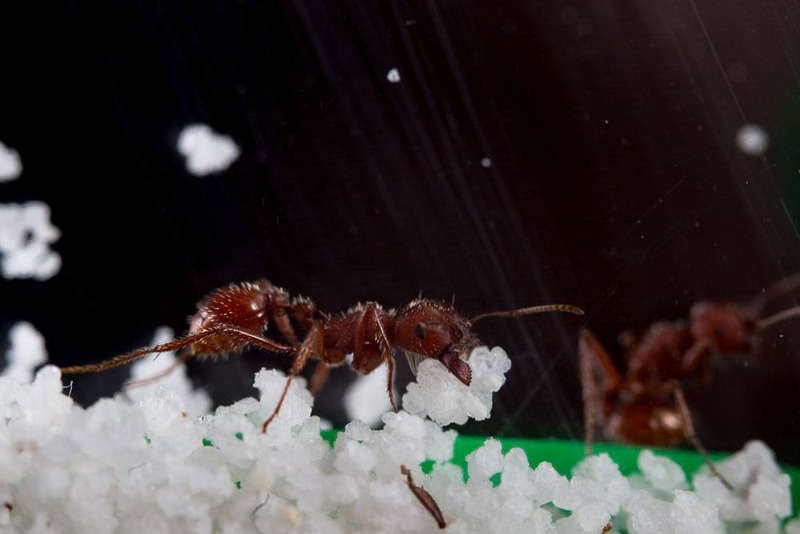 Watch ants make tunnels in your own Ant Farm.